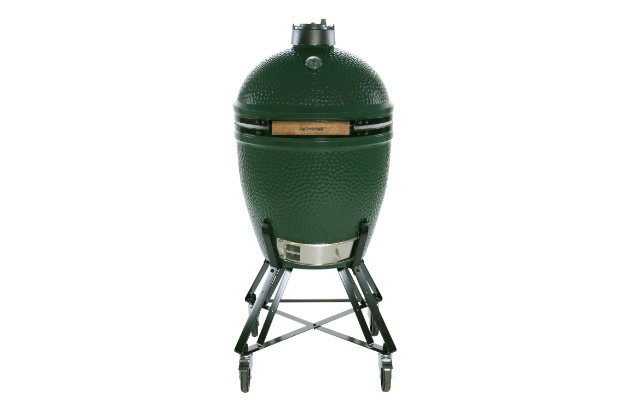 To celebrate the end of summer and to go out with a bang, BarbecueBible.com is giving away a Large Big Green Egg in a Nest—that unique and insanely popular cooking vessel that works as a grill, smoker, and outdoor oven. Enter for a chance to win below, and check out Big Green Egg’s website for links to local dealers. Join us for a LIVE Facebook chat with Bruce Bohannon (Big Green Egg’s head cooking academy instructor) and our own Steven Raichlen on Tuesday, September 2, at 1:30pm ET. Head over to Big Green Egg’s Facebook page to ask both grill experts questions about Big Green Egg and beyond.